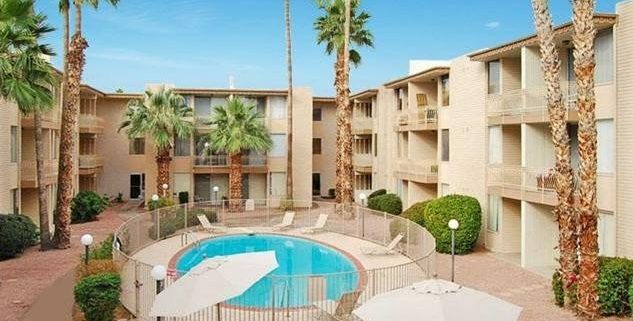 (Phoenix – March 16, 2012) – Vestis Group is pleased to announce that Principals Natan Jacobs and Les Litwin have completed the sale of 11-units (bulk condos) of El Cortez Condos for $110,000 / $10,000 per unit. The buyer, Oceanside Funding LLC, a Nevada-based investor, purchased 11 of 300 units within the community. The seller was The Halstead Partnership, a California partnership. 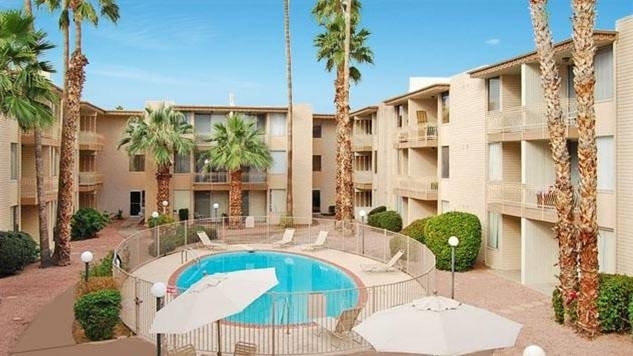 Natan Jacobs and Les Litwin with Vestis Group in Phoenix represented the seller in the sale. El Cortez, a 300-unit garden-style condominium community, located at 3130 N 7th Avenue in Phoenix, AZ, was built in 1964. El Cortez offers spacious studio condos in the center of urban living. Amenities include: Private Electronic Access, Gated Community Pool, Full Kitchens, Dramatic City Views (some units), Large Closets/Storage, Private Balconies/Patios and Laundry Care Center. Chase Field (MLB Arizona Diamondbacks).